Ah, Valentine's Day! It's supposed to be the most romantic day of the year, which makes it the perfect day to your partner know how you feel about them! You can approach this in many different ways, but in my humble opinion, the very best way is to make them something unique and personal. 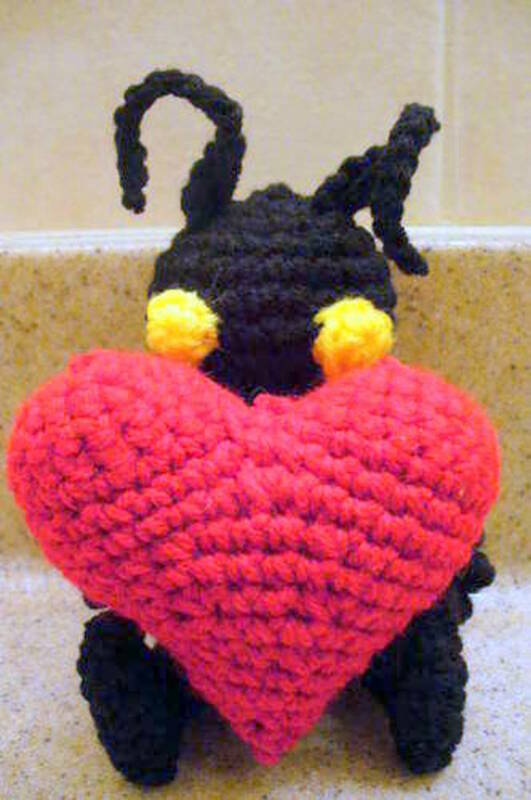 And it doesn't get any more special than this little list of awesome crocheted Valentine's creatures! Forget roses, chocolates, and other cliché romantic gestures—say "I love you" with a yarn heart with feet or with little devils and monsters. Why be ordinary when you can be crochet-extraordinary? 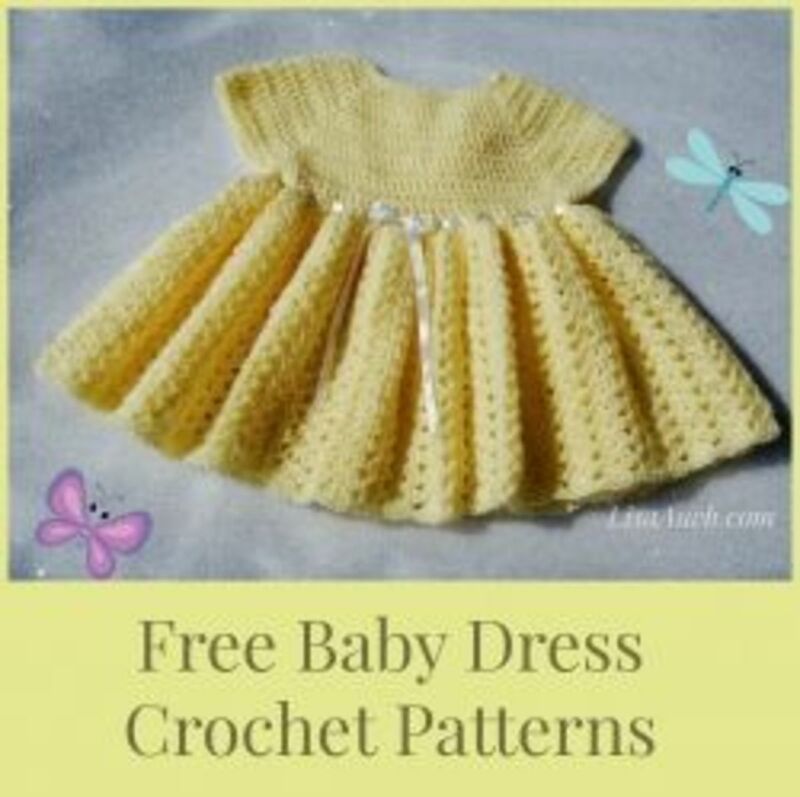 Get your hook out, and have a lovely time crocheting! Consider adding little magnets to their hands so they can actually hold hands! Use some wiring in the arms. Don't forget the little bow (and brilliant use of minimal hair!) for the little lady and a warm red heart for the little fellow! 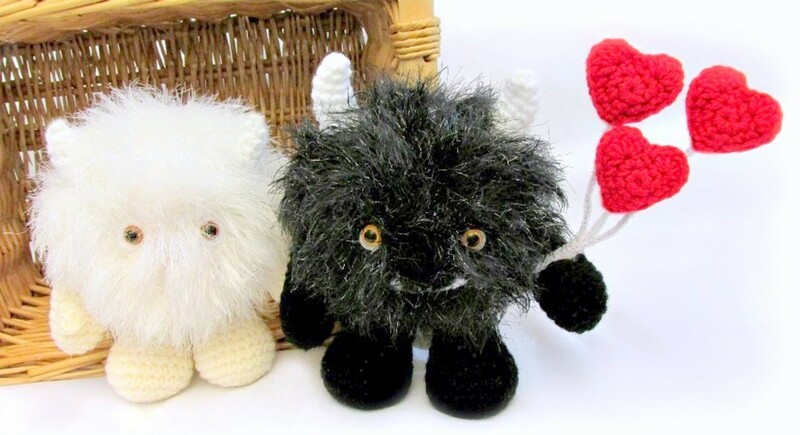 The two Bigli lovers are made up of shapes that are easy to crochet. 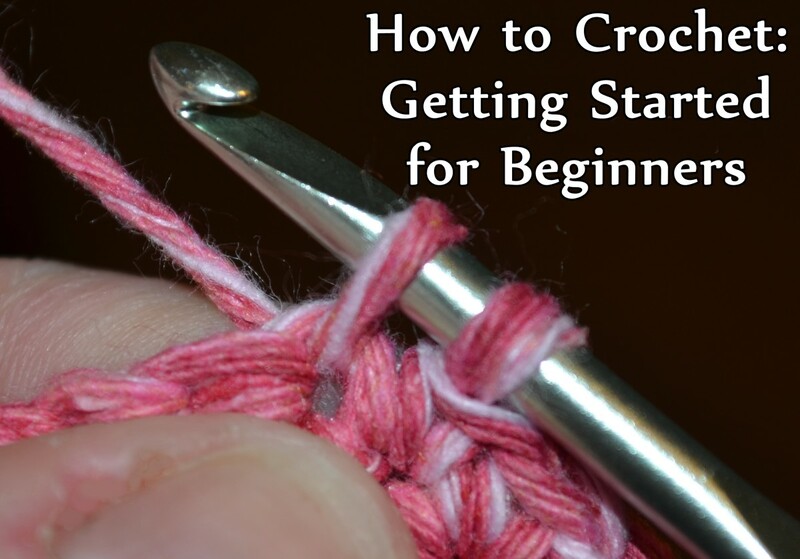 The accessories (the little bow, heart, arms, and legs) allow you to use extra techniques that can be fun for beginning crocheters to try. The big red heart encircling the two cuties is actually a scarf, and the instructions for this are included in the pattern. 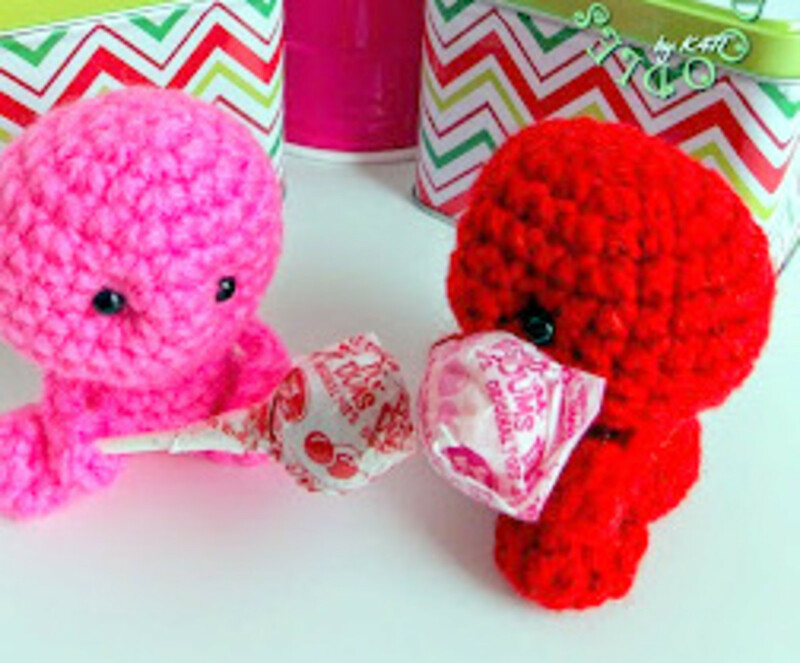 Let's get these lovesick sweethearts together for a romantic Valentine's Day and get crocheting! Who said monsters can't find love? These adorable cuties will prove them wrong! They're perfect to snuggle with, alone or with your partner. Make them a little bit bigger, and you can make lovely pillows out of them! Make them smaller and give them to your significant other as a keychain or a rearview-mirror decoration! Whatever you choose, your loved one will think of you anytime they see it. Perhaps even remember to buy you something special for Valentine's Day! 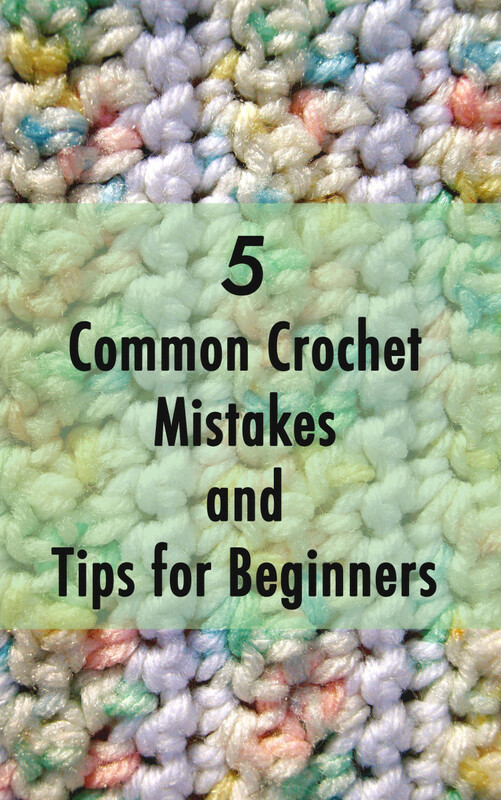 Crocheting with fluffy yarn can be quite a challenge (your stitches will be hidden in the fur), so this pattern is not suitable for beginners. 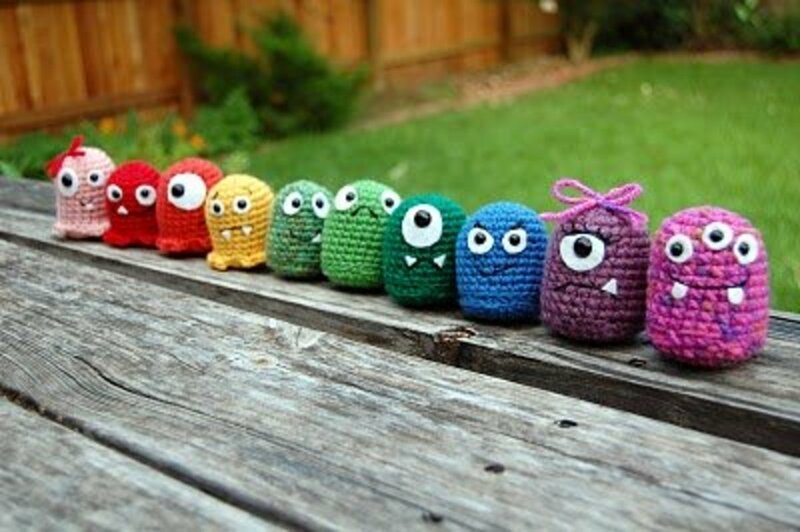 Should you choose to make these lovely monsters with non-fluffy yarn, by all means, go ahead, beginners! Okay. This little love bug is the cutest thing ever! Just look at the little arms and legs, the little eyes, and scrumptious heart-shaped antennae! If this thing doesn't say "I love you" to someone, I don't know what will! Size-wise, it's great to use as a keychain or a rearview-mirror decoration. It's too cute not to make, so let's get cracking! The great thing about changing yarn colors in round amigurumi is that you don't really have to weave in the ends but can leave them inside the "body". This is great news for lazy crocheters like me! Make one for all your loved ones, perhaps in their favorite colors? These lovebugs have it all, from an adorable head to cute arms that hold a treasured Valentine's Day sweet! What a great way to tell the little ones (or bigger-sized DumDum enthusiasts, of course) that you wish them a happy Valentine's Day! Pick your (or their) favorite color and get busy! Embellish them with some beads or embroidery. Add the recipient's initials on the lovebug's back. Give them something else to hold, like a cute little heart, flower, or sign that says "I love you." These little lovebugs will hold anything for your loved ones! You can work them up quickly and simply. Beginners will have no problem making the head and body. The arms and legs are a little more challenging, but the excellent tutorial will help you make them easily! Make one in every color and flavor! Nothing says Valentine's Day more than a cuddly heart! I just love the little arms and legs combined with the sweet little face. This is a wonderful gift for your loved one, especially if you have this cutie sitting on top of a grand box of chocolates! 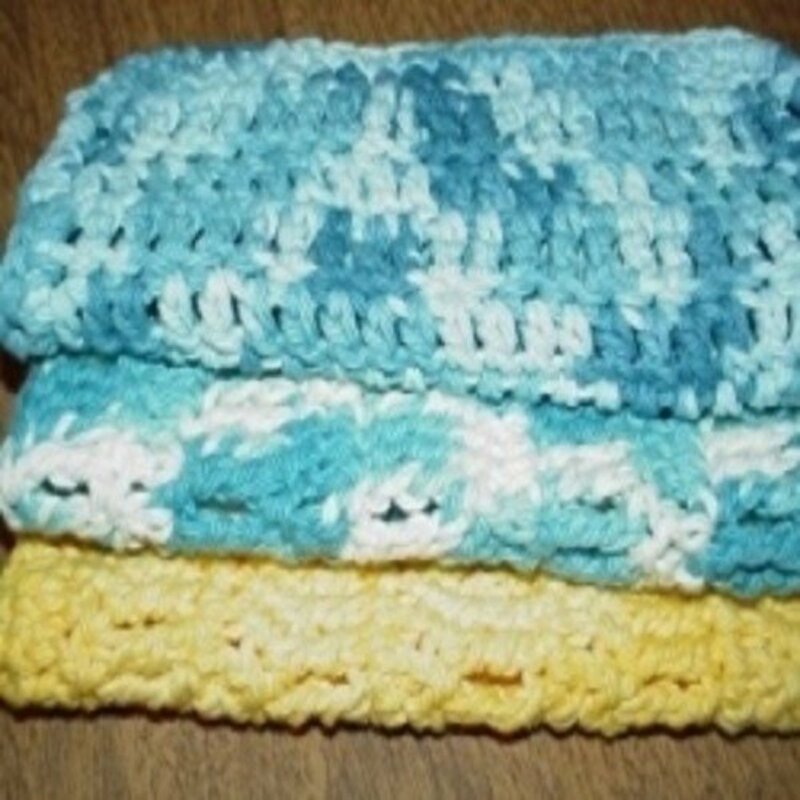 This project is wonderfully simple and makes a great project for beginners. 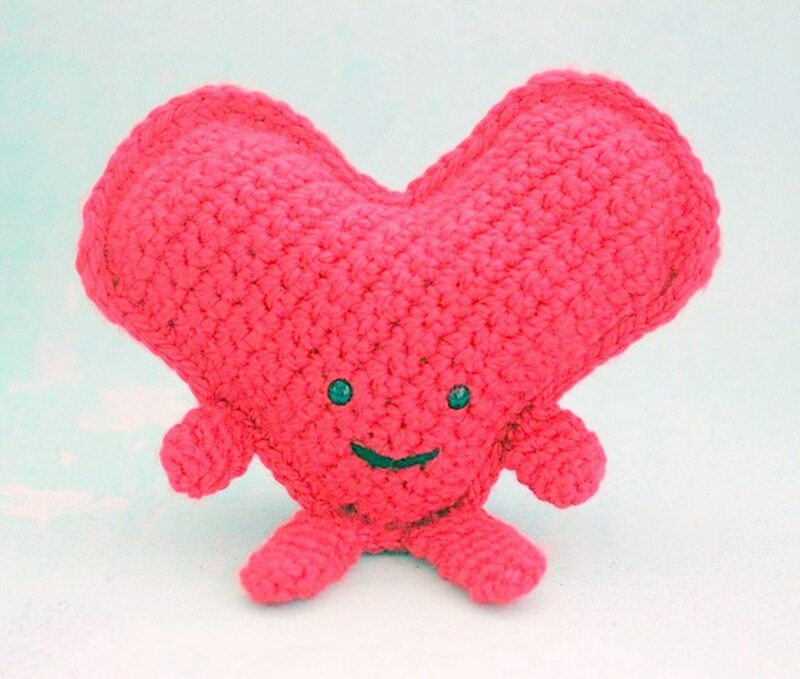 Two flat-heart shapes are crocheted together using the single crochet stitch and filled up with stuffing. Give your bae something (else!) to cuddle this Valentine's Day! The Bigli Migli character is loved by crocheters, probably because of the simple shapes and endless possibilities. This one is no exception! Plus, he's such a cutie, holding his little heart for his sweetheart! Want to make it a girl Bigli? You could add a little bow to her head! 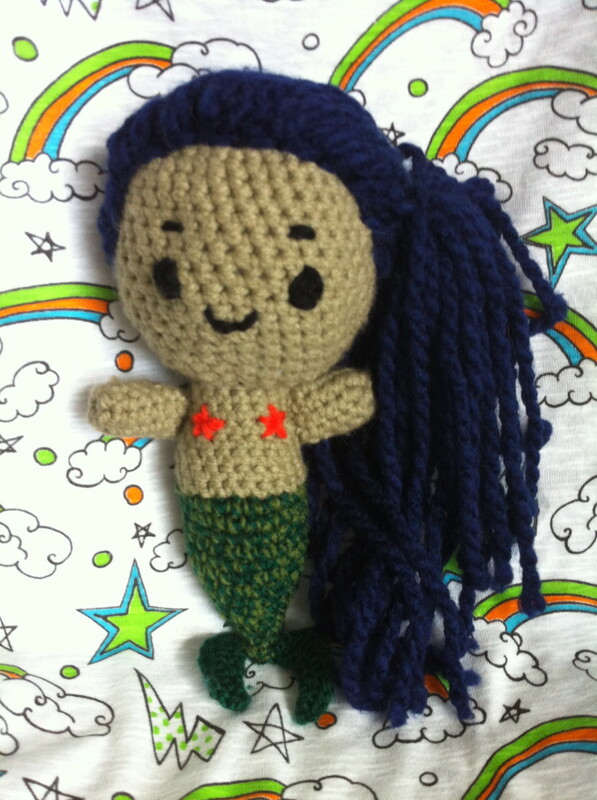 Crochet this little guy (or gal!) as a sweet gesture for your loved one this Valentine's Day! As you might expect, the crochet part of this Bigli works up quickly because of the simple shapes. The real challenge of this pattern is getting the wire frame in place. 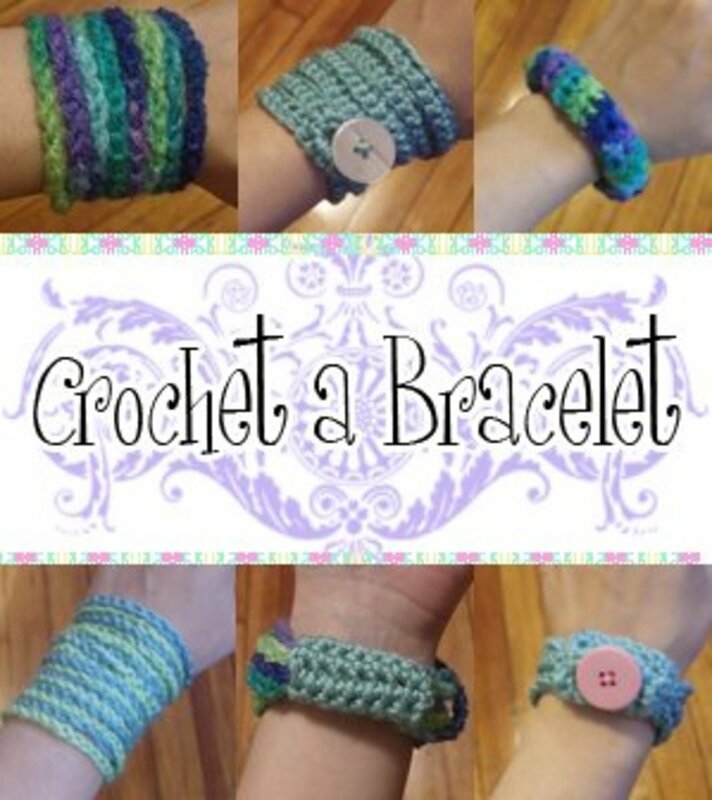 Get to crocheting and wire bending! This little heart cactus makes a thoughtful gift, especially if your loved one is not blessed with a green thumb. This cactus will stay forever green and never die! It is just perfection, from the cute teacup it is planted in to the little flower as a finishing touch. 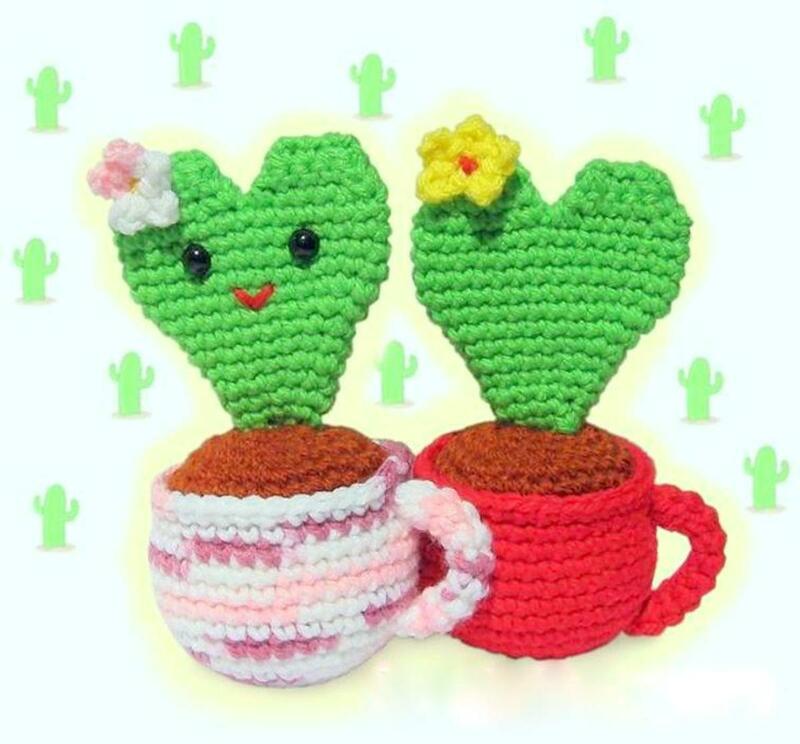 If you make it in the yarn gauge the designer proposes, the cactus (including the cup) will turn out to be approximately six inches tall (15 cm) and the diameter of the teacup three inches (7.5 cm). This little bug is inspired by the Kingdom Hearts video game. He has his little arms stretched out and holds his heart in his picot-stitched hands! Is your loved one a fan of the video games? If not, do they like unusual declarations of Valentine's love? This pattern is for you! a nice piece of chocolate. a sign saying "I love you." This little bug is ready to help you with all sorts of romantic declarations! The instructions for the heart are not included but can be found online easily. 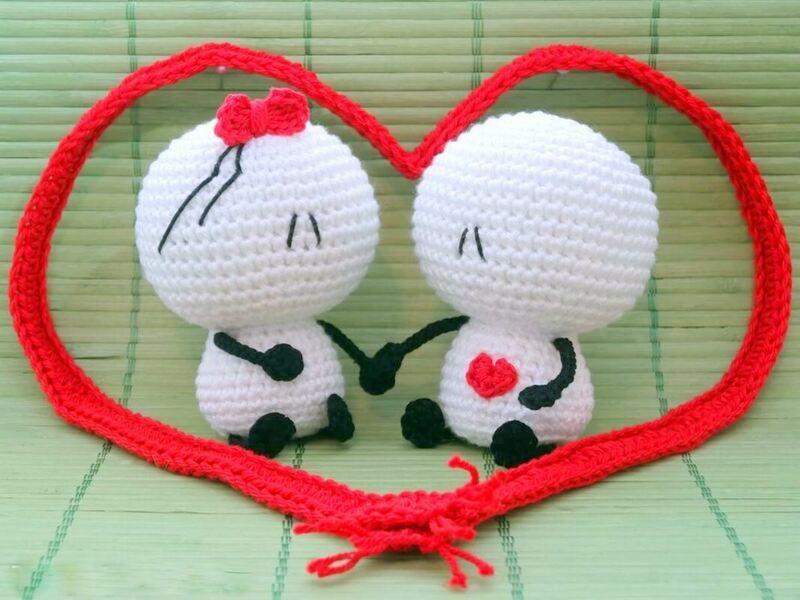 Declare your love this year in an unusual way and get crocheting! Ah, the cuteness! This little love bug has love on its mind! 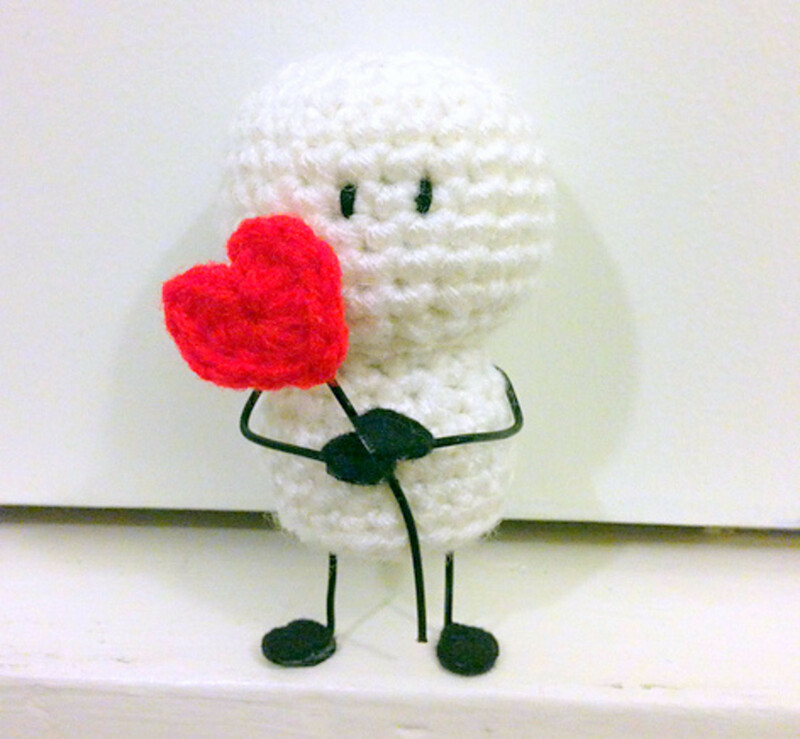 With all the hearts on its little amigurumi body, this adorable guy is ready for a spectacular Valentine's Day! The antennae are made out of pipe cleaners. The felt eyes are stitched on with black embroidery thread. 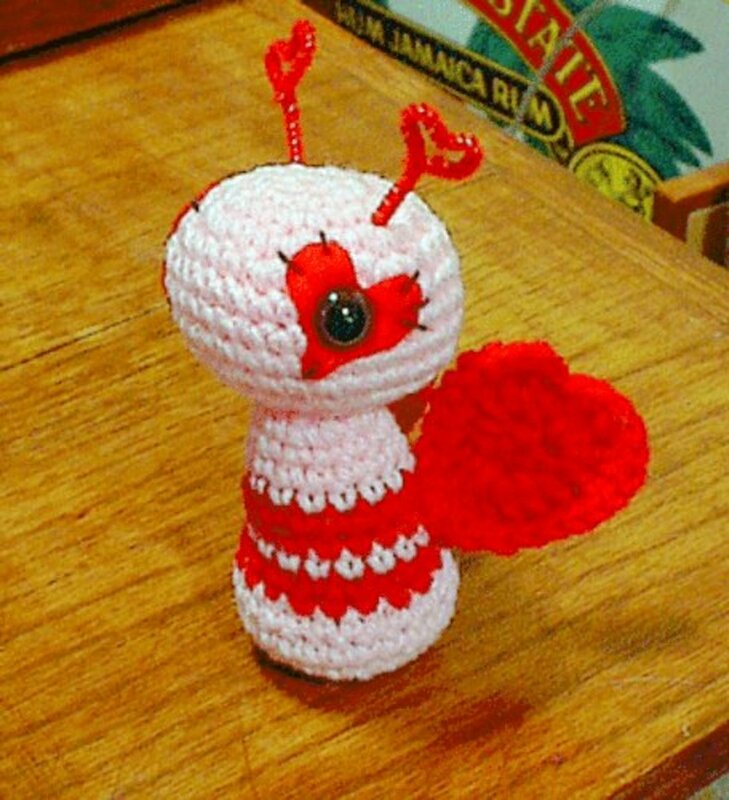 The little love bug stands because weight is added to the bottom of its body using PVC Pellets or other plastic beads. These hearts will conquer the world, hand in hand! They are clearly more than ready for Valentine's Day, but you could also make them as a wedding gift or a funky set of wedding cake toppers! I love the little details and finishing touches of this pattern: apple cheeks, bowtie and bow, and the cutest top hat I've ever seen! I also particularly appreciate the pattern for the hands, which are realistic even with just four fingers. You could certainly use this pattern making hands for amigurumi dolls etc. There's no excuse to not have this cute couple skipping away! With his felt heart, Baymax is ready for love and cuddles! Who wouldn't love this marshmallowy robot that gives the best hugs? Depending on the size of your yarn, you can make a cute small one (as pictured) or choose to him chunk up by using double threads of yarn. Baymax would make an excellent snuggly pillow! 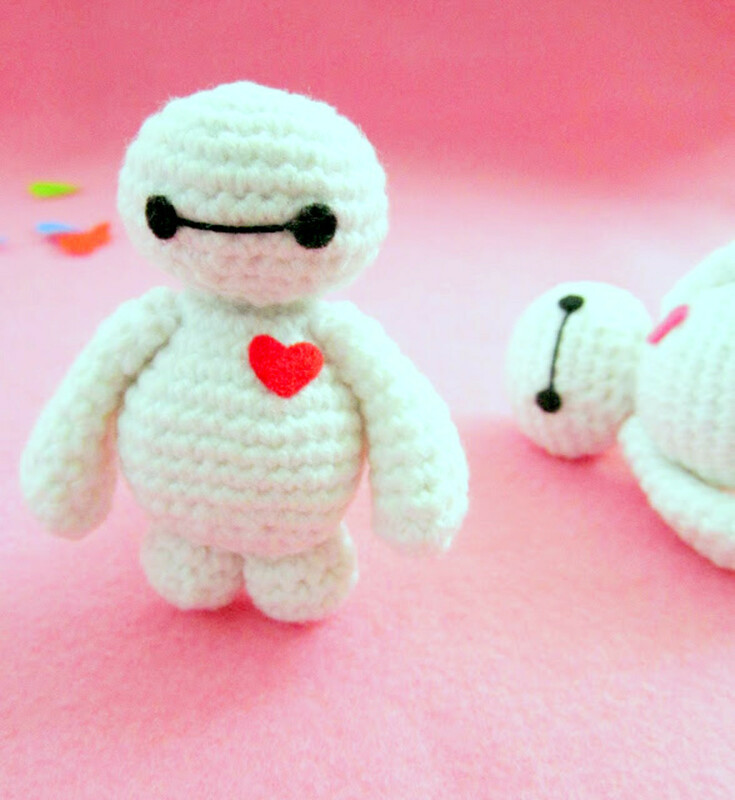 Baymax consists of simple shapes and is suitable to make for beginners. You can choose to glue on black felt circles for the eyes or go with safety eyes. Of course, his heart can be any color you want! Now there are soft hugs for everybody this Valentine's Day ! Is Valentine's Day with its red roses, moonlight, and romance a bit to "sweet" for you and your loved one? Are you a big fan of the Walking Dead? Create these cool zombie hearts! 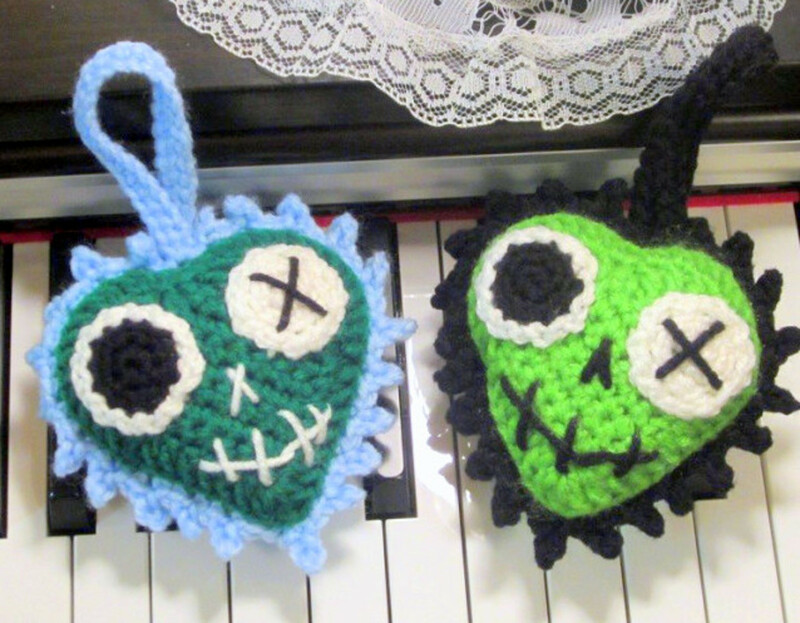 Make them in any color or size you want and have yourself a fantastically gruesome Valentine's Day! The pattern is based on this heart pattern. However, the zombie heart designer added her own finishing touches to it. The fun is definitely in those zombie accents: X-eyes, embroidered nose, and stitched mouth. Joining the two flat hearts with the spikey border might require a little practice for beginners, but hang in there and you'll get it! 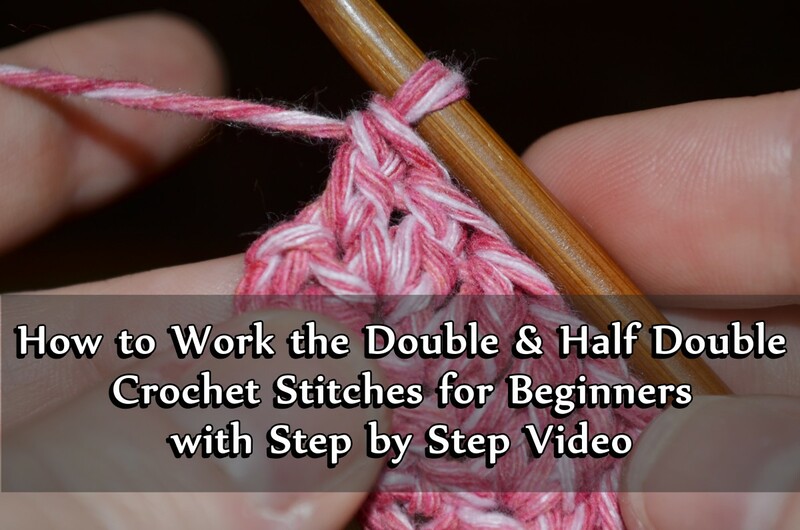 Should you prefer to do so, you could always just join the hearts together using single-crochet stitches or slip stitches. Zombify your Valentine's Day!